I love lettuce wraps. They take everything that’s great about a stir fry and wrap it in salad. How great is that? Here is a foolproof recipe that tastes great every time I make it. It doesn’t take much to make these tasties. Here’s a shot for the sauce. 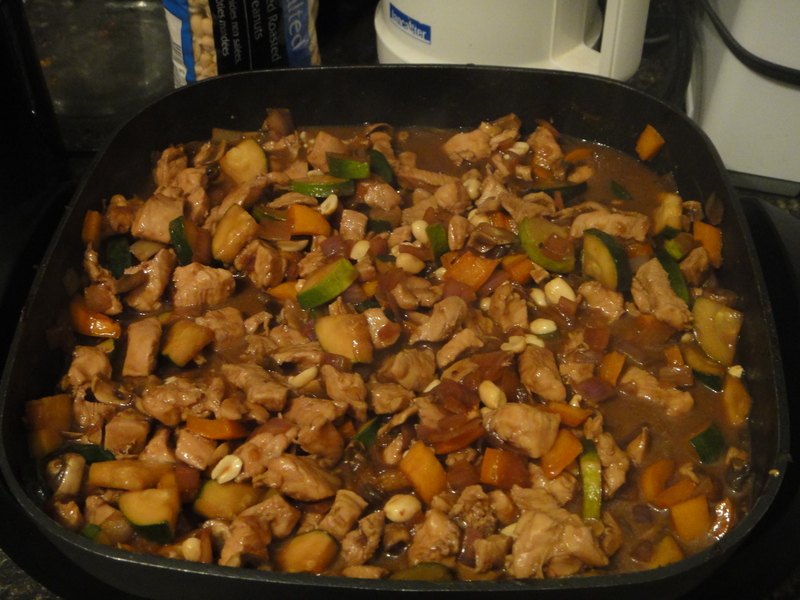 I mix a variety of Asian sauces with peanut butter to make the perfect base for this recipe. Sorry, this shot was a little blurry. 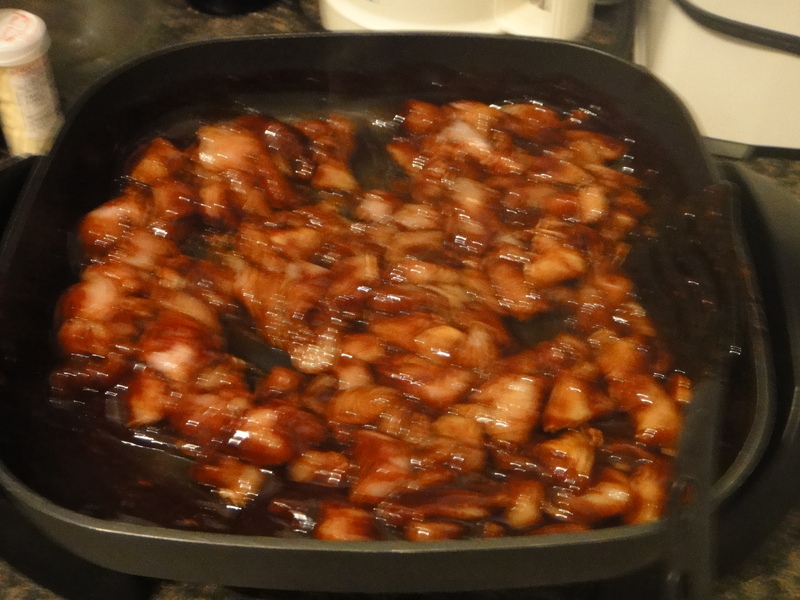 Once the sauce is prepared, brown your chicken in it. 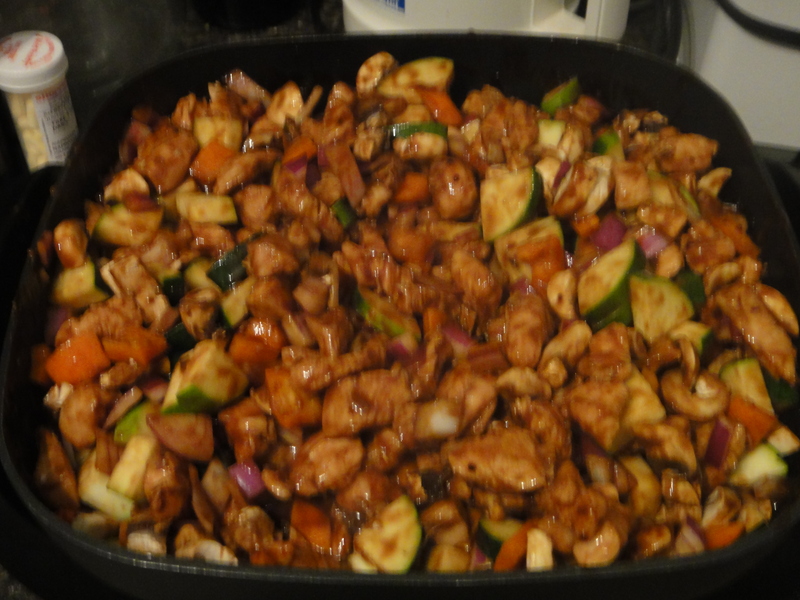 Then, add the veggies and cook down. Once it’s cooked down to your liking, add peanuts. Serve with romaine lettuce. It tends to keep its shape a little better than other lettuces, making it easier to eat. Romaine also gives the wraps an extra crunch! Chop all of your veggies and chicken into bite sized pieces. 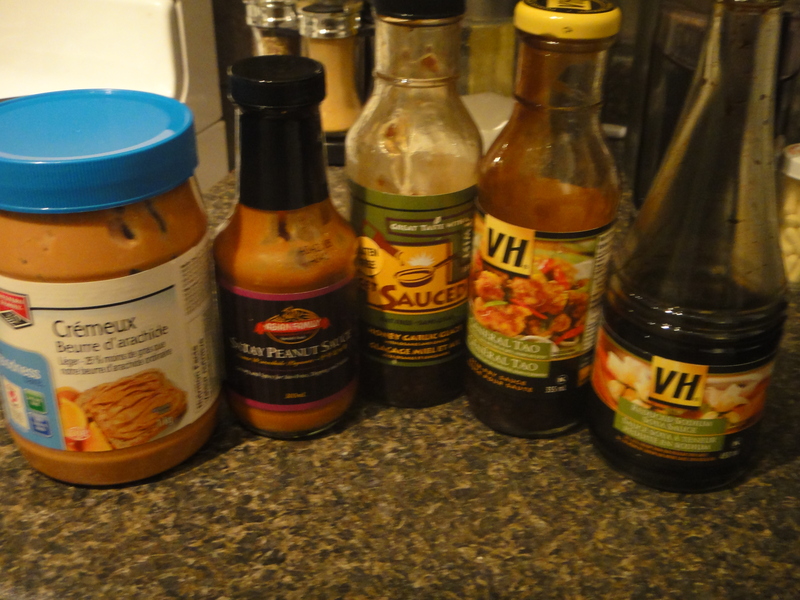 Combine sauces in a saucepan and cook on low until peanut butter is melted. Add your chicken and brown. Add veggies and cook down until cooked, but still firm. Add peanuts. 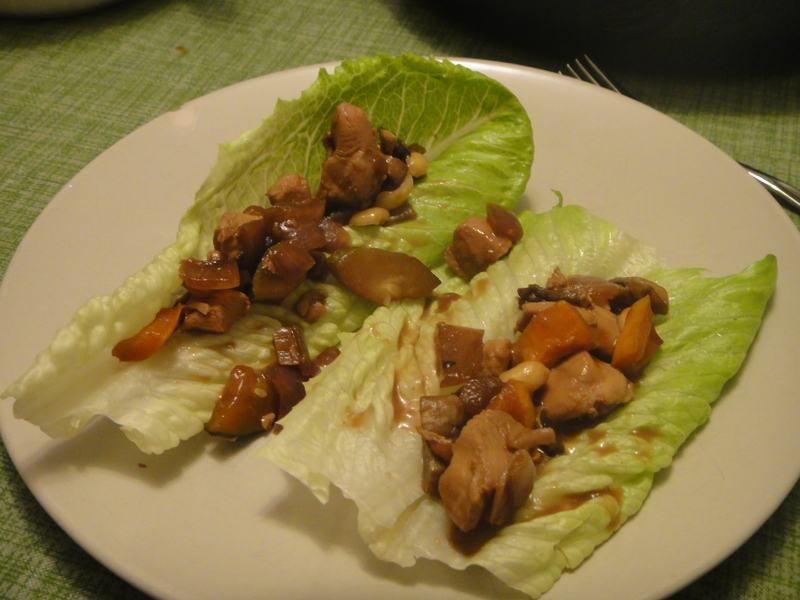 Serve warm on top of romaine leaves.